Ever want to try surfing? Bunger Surf Camp is the perfect way to learn how to surf. The Bunger Surf Camp is in the Town of Babylon at Gilgo Beach. Participants in past years have come from towns all over Long Island. We also offer hourly surf lessons. We have surfboard rentals available at Gilgo Beach. Whether you are a beginner, an advanced level surfer or somewhere in between, we’ve got a board that will suit your needs for the local surf conditions at Gilgo Beach. Most of our instructors are CPR certified, and have extensive knowledge with surfing, swimming and lifeguarding. Please call 1-800-698-SURF to receive more information on our Surf Camp. 2 Day Camp runs every Thur/Fri from 10-12pm or from 10-2pm. .
2 Day 10-12pm-$225 per person. Parking Fee is $10 per day. Print the one of the following applications and mail in with a check or drop off at the shop in Babylon Village. 5 Day Camp 10-2 pm. PLEASE CALL THE SHOP AT 1-800-698-SURF WITH QUESTIONS OR CONCERNS OR IF YOU WOULD LIKE TO PURCHASE A GIFT CERTIFICATE. We offer Private Group Lesson as well as 1 on 1 lesson. Advanced Surfing lessons are availble. 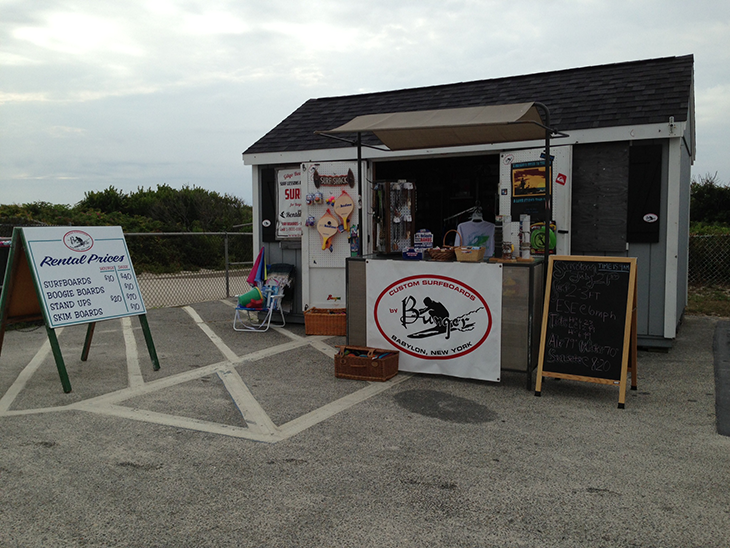 Gilgo Beach Rental Shack is open Daily during the Summer at Gilgo Beach.